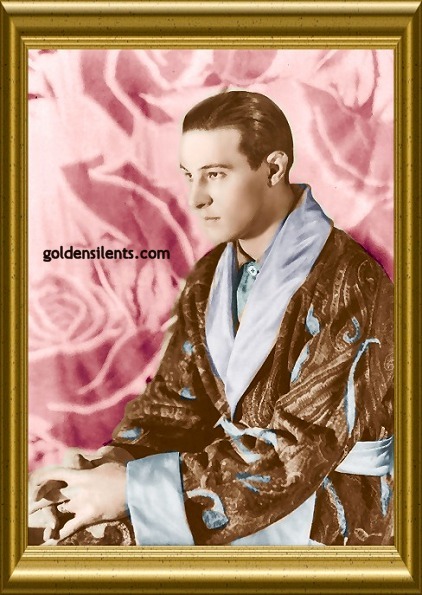 Rudolph ("Rudy") Valentino was born and christened - are you ready for this? - Rodolfo Alfonzo Raffaelo Pierre Filibert Guglielmi di Valentina d'Antonguolla, in Castellaneta, Italy, in 1895. His mother thought he was the most beautiful baby in the world, and pampered him, to the exclusion of her other two children. As a result, Rudy grew up spoiled; he was kicked out of several schools, until finally obtaining a diploma in, of all things, farming. Valentino's early life was marked by failure. He was a Navy drop-out, and ended up begging on the streets of Paris in 1912. In 1913 he managed to travel to New York on a small inheritance, where he was soon after booked by police for petty theft and blackmail. Valentino found work as a dancer, performed in nightclubs, and eventually made his way to Hollywood. He began in films circa 1914, playing villains, dancers, and gigolos. 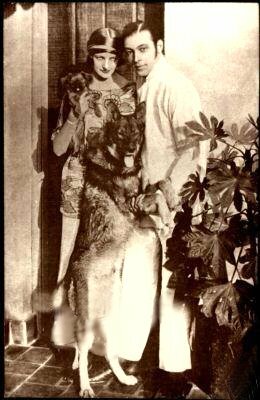 While still a bit player, he married Jean Acker, an actress who separated from him after only a few weeks. Their divorce wasn't finalized until 1922 however, and when Rudy married his second wife, art director Natacha Rambova (born Winifred Hudnut), the authorities claimed his new marriage wasn't legitimate, since he had not waited the full year after the divorce to remarry, which was the law of the land in California at the time. Rudy was jailed for three days, and had to pay a $10,000 fine for bigamy. No person ever possessed as much film "star quality" as Valentino, or so tradition has it. By the 1920's he was generally typecast in silents, usually playing the passionate, romantic Latin lover or Arab type of leading man. 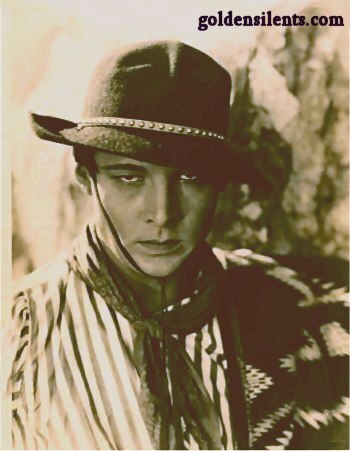 Inside contacts brought Valentino the lead in "The Four Horsemen Of The Apocalypse" (1921), a smash hit at the box office. 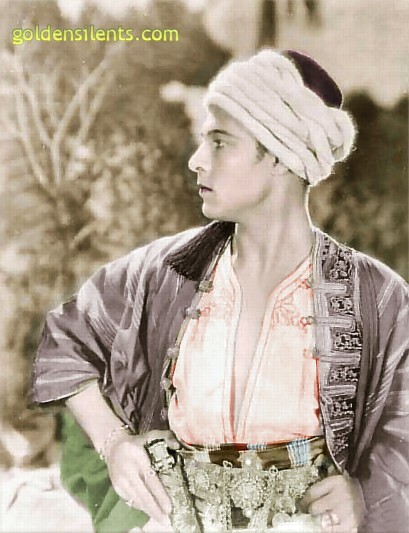 His performances in "Camille" (1921), and "The Sheik" (1921) made women swoon. "The Sheik" initiated a fad in Arabian style interior decorating across America. "Blood and Sand" (1922) followed, another hit. 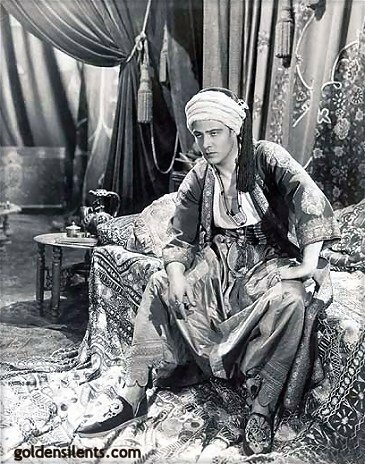 Then after that "The Eagle" (1925) scored successfully, and that was followed by "The Son Of The Sheik" (1926), which many believed to be a better film than the original "The Sheik." 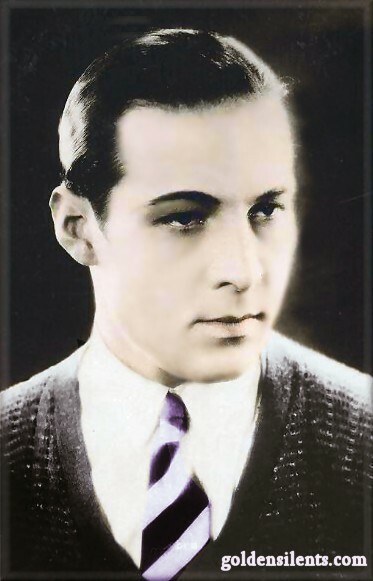 Valentino's second wife Natacha Rambova began to manage his career by 1924. While fighting with Paramount Pictures for more artistic control over his films, Rudy wrote and published a best-selling book of poetry called "Day Dreams", and then went on an extensive tour as a dancer. As much as the women sighed over Valentino, the men in the audience generally disliked him. 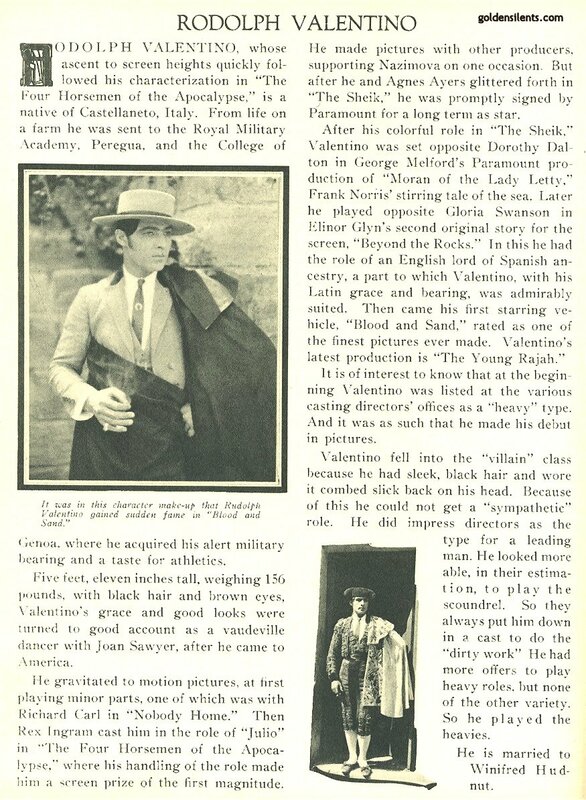 In 1926 The Chicago Tribune attacked Valentino publicly, calling him a "Pink Powder Puff." 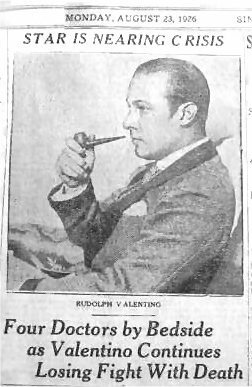 Valentino countered by challenging the writer of the article to a boxing match, which, of course, never took place. 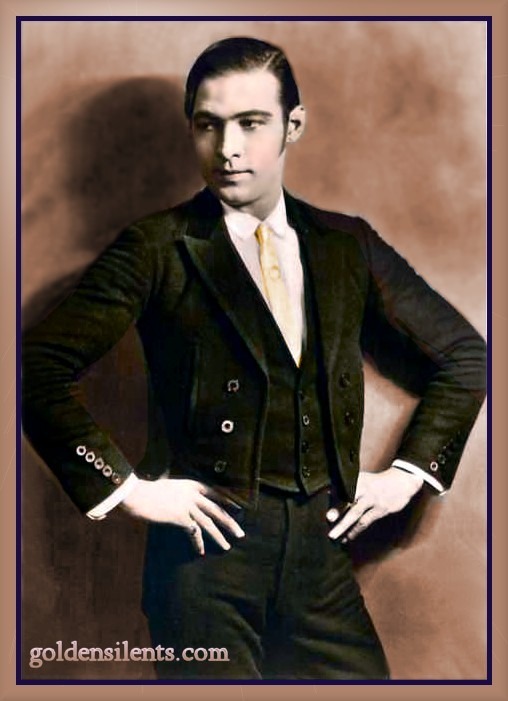 Rudy often did appear in elaborate costumes in his pictures, but he also made several more contemporary-style films, like "The Conquering Power" (1921), a very fine film, in which he dressed in old-fashioned suits and clothes...but these films were often ignored; even today few people will bother watching them, preferring to see Rudy "in type" as the sheik or Latin lover. 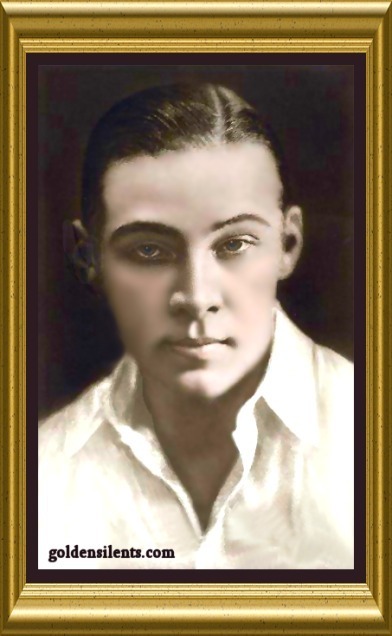 In August, 1926, Valentino was rushed suddenly to a hospital in New York, with a perforated ulcer. He died an agonizing death from blood poisoning and pleurisy. She would have no real reason to lie, but actress and paramour Pola Negri in her autobiography stated that Valentino was concerned about a receding hairline and was taking a drug - probably illegal - to stop his hair loss. Could the drug have precipitated his death at such a young age? When his death was announced, many American women became hysterical. Some fans committed suicide. Rioting broke out in the crowds who were waiting to see his open coffin at his public viewing (though they didn't know that his body had been replaced by a wax dummy - a second casket in a back room contained his real body). Valentino's corpse traveled cross country by train, and he was laid to rest in what was originally intended to be a temporary gravesite in a Hollywood cemetery, generously donated by his scriptwriter after it had been discovered Rudy was broke at the time of his death. However Valentino remains in that crypt till this very day, right next to his scriptwriter and her husband, and that section of the cemetery is off-limits to the public. After his death, Valentino's fan clubs developed into cults, and the public's huge reaction to his death did not go unnoticed in the financial districts. Due to Valentino, and his sensational death, movies were finally recognized by Wall Street as a legitimate, lucrative business. Rudy as the Sheik...what else?